Steven Kasher Gallery is pleased to present Dan Weiner: Vintage New York, 1940-1959 the first solo exhibition of the photographer’s work in over a decade. The exhibition consists of vintage black and white prints made between 1940 and 1959. The exhibition focuses on Weiner’s New York work, highlighting the photographer’s roots in, love for, and inspired representations of his home city. Weiner’s portrayal of city life during a period of explosive growth and economic expansion is at once caring, inquisitive and critical, with a pronounced sociological bent. 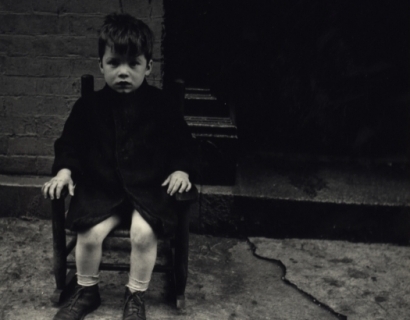 Also on view is the exhibition Sandra Weiner: New York Kids, 1940-1966. This is the first time that exhibitions of the husband and wife photographers have been on view concurrently. Weiner is one of the original “concerned photographers.” In 1940 he joined the Photo League, a group of socially minded photographers including Paul Strand, W. Eugene Smith, Aaron Siskind and Dorothea Lange. Soon he was teaching an advanced class at the League. While taking part in Sid Grossman’s Documentary Class, out of which grew the “East Side Group,” Weiner photographed people and events around the Lower East Side. As his wife Sandra, whom he met during this period, later wrote, it was “an inspiring period for a young photographer.” Weiner firmly believed in the power of the camera to highlight social and economic problems and affect change. The images in the exhibition are largely taken from Weiner’s extended project in Yorkville. Weiner photographed the working-class neighborhood in-depth. At the time, the tenement apartments in Yorkville were so cramped that much of the social interactions of both adults and children took place in the streets, facilitating Weiner’s access to his subjects. 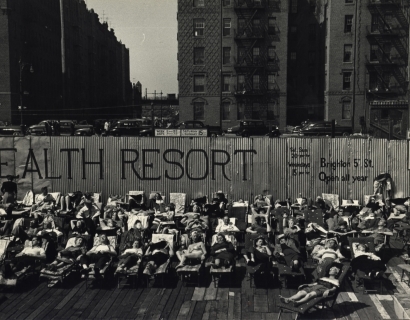 These photographs emerged from a larger photographic endeavor, “Neighborhoods of New York”, a Photo League project spearheaded by Consuelo Kanaga to document specific neighborhoods in the city. Dan Weiner (1919-1959) was born and raised in New York City. He studied at the Art Students League in 1937 and at Pratt Institute from 1939 to 1940. He assisted commercial photographer Valentino Sarra from 1940-1942 and simultaneously joined the Photo League. During World War II, he served as an air force photographer and in 1946 returned to New York to establish a commercial studio. Switching to photojournalism in 1949, Weiner traveled to Eastern Europe, to the American South and to South Africa. His photographs appeared in important publications including Fortune, Collier’s, This Week, Life, and Look. He had his first one-man show in 1953 at the Camera Club of New York, which later traveled around the country. In 1956 Weiner covered the Montgomery, Alabama bus boycott for Collier’s. His photographs of Martin Luther King, Jr. and the civil rights struggle in Montgomery are among the most iconic and effective records of those dramatic events. In 1967, his work was included in the seminal 1967 exhibition and catalogue The Concerned Photographer, curated by Cornell Capa, alongside Robert Capa, Werner Bischof, David Seymour, Leonard Freed and André Kertész. Weiner’s work has been exhibited at institutions including the Museum of Modern Art, Musée de l’Elysée, New York Public Library, International Center of Photography and the Bronx Museum of Art. Weiner’s work in included in the collections of the Museum of Modern Art, Metropolitan Museum of Art, International Center of Photography, San Francisco Museum of Modern Art, Nelson-Atkins Museum, Museum of Fine Arts Houston, National Portrait Gallery, Smithsonian American Art Museum, and the Art Institute of Chicago. 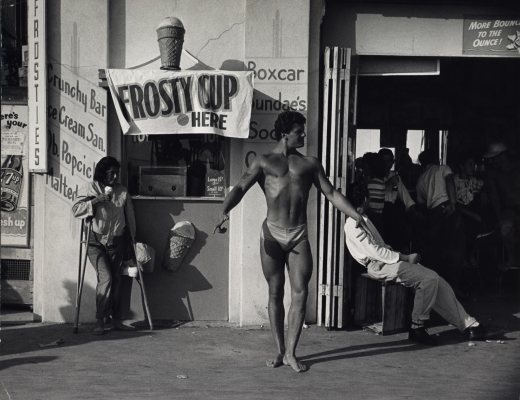 Monographs of Weiner’s work include Dan Weiner, 1919-1959 and America Worked: The 1950s Photographs of Dan Weiner. His photographs are included in The Civil Rights Movement: A Photographic History, 1954-68; Photography of the Fifties: An American Perspective; The Consolidated Freightways, Inc. Collection; and American Images: Photography 1945-1980. Dan Weiner: Vintage New York, 1940-1959 will be on view June 7th-July 27th, 2018 at Steven Kasher Gallery, located at 515 W. 26th St., New York, NY 10001. Gallery hours are Tuesday through Saturday, 10 AM to 6 PM. For more information about the exhibition and all other general inquiries, please contact Cassandra Johnson, 212 966 3978, cassandra@stevenkasher.com. 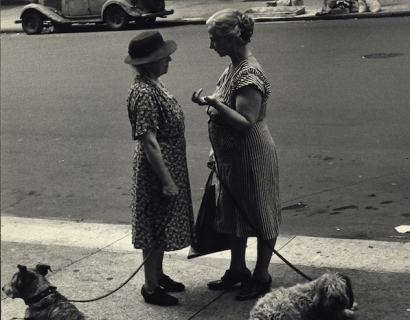 Chelsea Now reviews SKG's current exhibition, Dan Weiner: Vintage New York, 1940-1949.